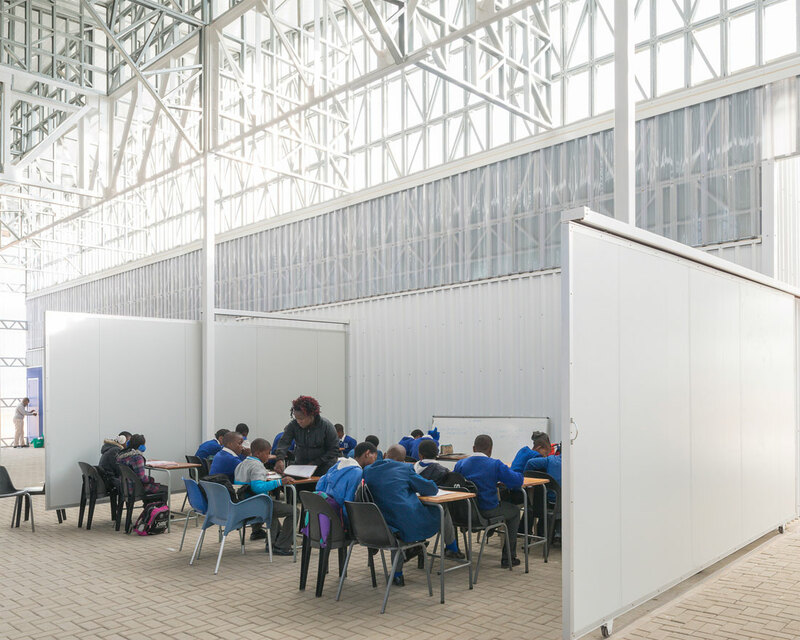 Situated in a severely poverty-stricken area, where social services such as clinics and schools have largely remained unavailable to citizens, the African School for Excellence (ASE) is one of the first township-based private schools. ASE Tsakane addresses the needs and challenges of African secondary school scholars by offering an education that prepares them for university entrance at the highest level. 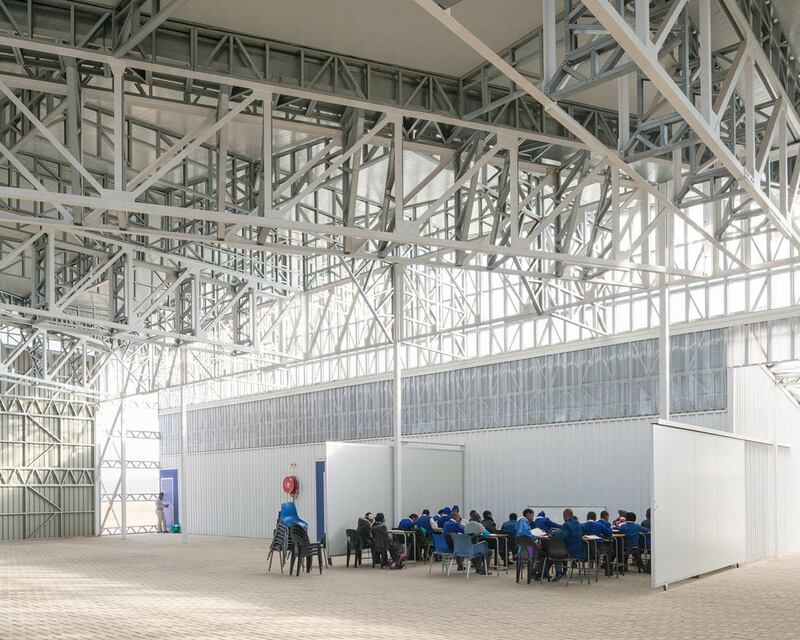 The structure consists of 24 classrooms, a multi-purpose hall, a reception and a staff room. 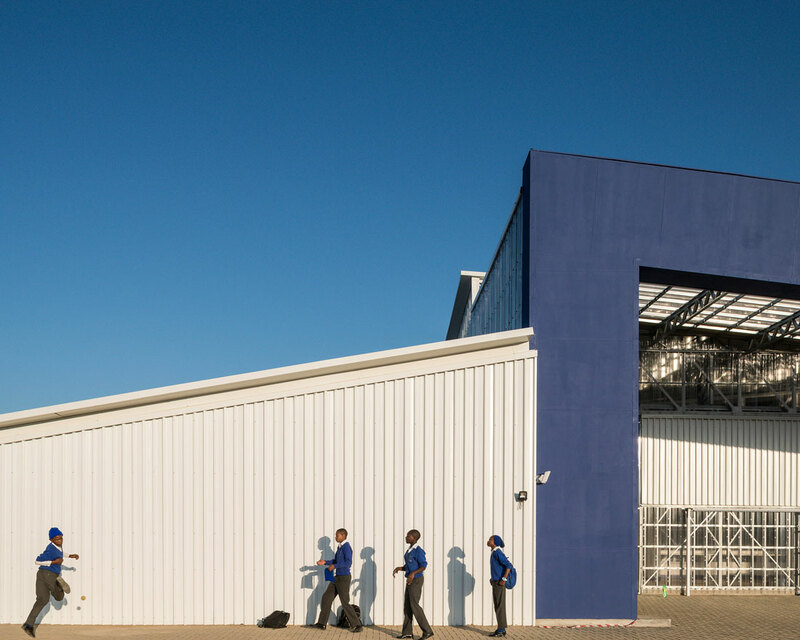 It was built within a strictly limited budget (R2,500/sqm), utilising innovations typical of factory construction. 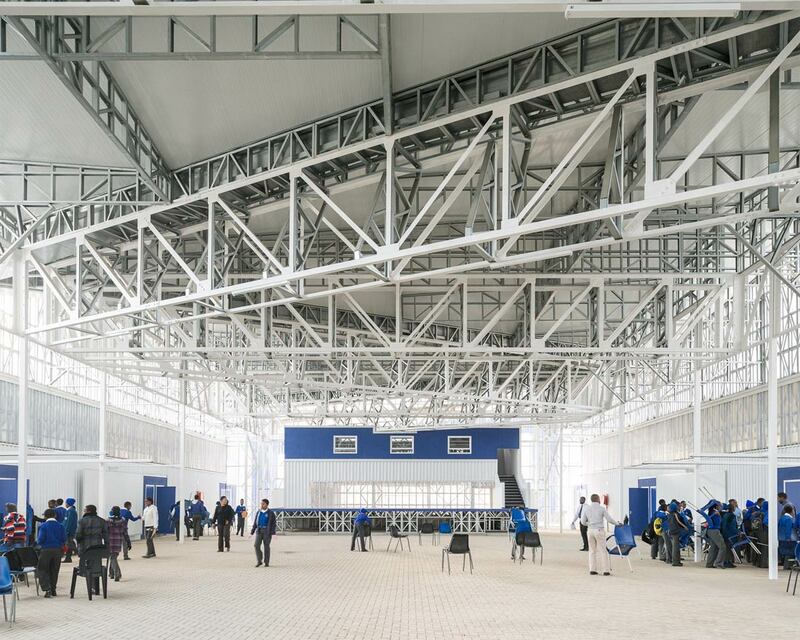 Lightweight and structural steel were used in the building’s construction, resulting in a correspondence with the area’s industrial vernacular. 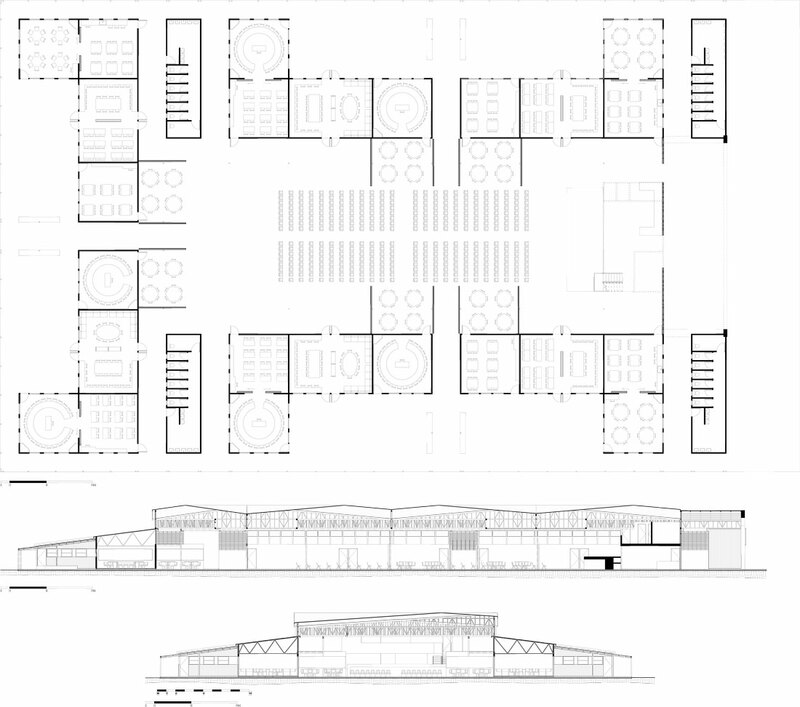 The design is governed by the school’s education model, designating spaces for self study, partner learning and instructional learning. 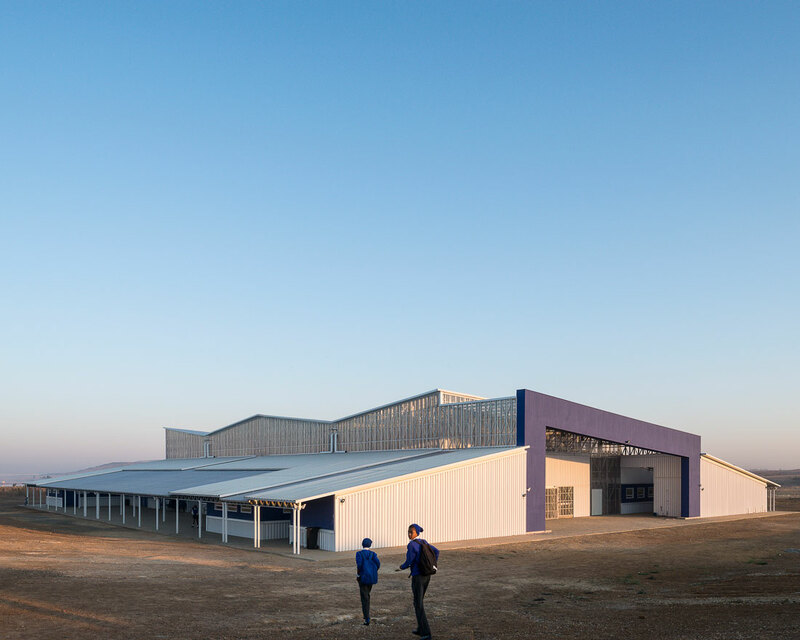 It houses the capacity for six learning communities under a single roof or, alternatively, a vast 2000 sqm hall space available for community members to rent on weekends. 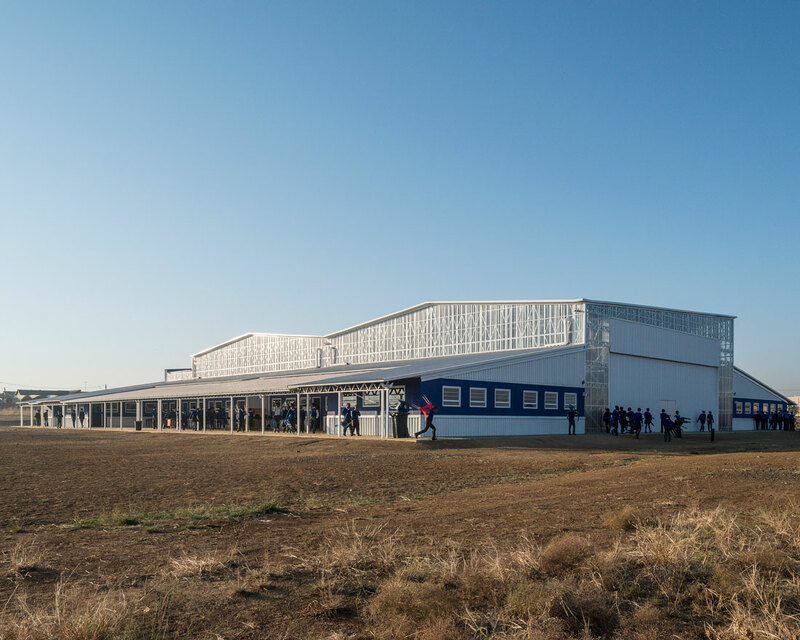 The roof form and its structural engineering, which proved to be highly challenging, were decided by the need to create a landmark and a symbol of hope for the community of Tsakane. The commission arose through Local Studio’s contact with the client over several years, during which time numerous alternative construction methodologies were pitched. A design-and-build contract was eventually appointed to E4 Construction, who designated the design of the school to Local Studio. The project ran on an exceptionally tight construction timeline and experienced a change in structural engineer during the process. Had this not been the case, Local Studio believes that detailing choices would have been achieved more elegantly. Challenges for the project were specifically budget related, and numerous initial designs were cut from the contract. 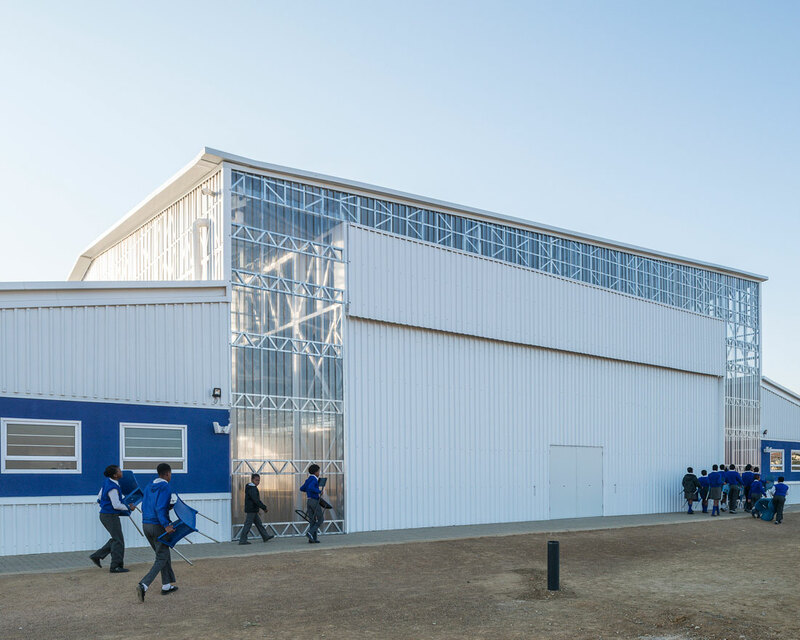 Fortunately, the flexible design of the building allowed for modularity and the addition of complimentary elements, such as sound and thermal insulation, which have been added as funds have become available.